The Selection also shows a divide with a caste system and monarchy set in place, though I do not find Cass’ world building quite as detailed or effective as Collins’, it does have a lot of potential. I think there are several dystopias who have their main character a stand-out. Tris (and others) are Divergents in their society, and cannot be categorized by one faction of their society, which some see as a threat. In The Giver, Jonas stands out because he is the Receiver, he has the ability to receive past memories and see things differently than the rest of his society. In Across the Universe, those who think differently from the norm, like Elder and Harley are considered crazy, when really they are just creative and the others have had their creativity suppressed. It’s an obvious element not just for dystopia, but for any story, but it is an effective one. I believe most all of us have a desire to stand out somewhat, even if it scares us. The strongest element of Reached (the conclusion of the Matched trilogy), I thought, was how it was clear that the Resistance, the “good guys” in the story, aren’t as good as they had been romanticized by Cassia and Xander to be. They are willing to sacrifice people and create chaos in the name of their cause; they turn to panic rather than logic or strategy to overthrow the government. Cassia’s world grew more gray in Reached, which I think was a necessity for that series. Unfortunately I have not seen too much yet of this yet in the dystopias I have read, and in the ones I have found it in, they have been used in somewhat underwhelming and disappointing ways, but genetic engineering fascinates me. I want to see more! The Giver is a fantastic book; I only read it last year and I wish I had read it sooner! Thanks for stopping by! GREAT list! I agree with you about so many of these. Although I have to say that one of the main things that turns me away from dystopian books is the whole revolution/rebellion part. I don’t know why, but that just gets old for me. 🙁 I know, it makes sense in these dystopian worlds, but still. I’m boring, maybe, I dunno, lol….. I think it depends on how it’s done. 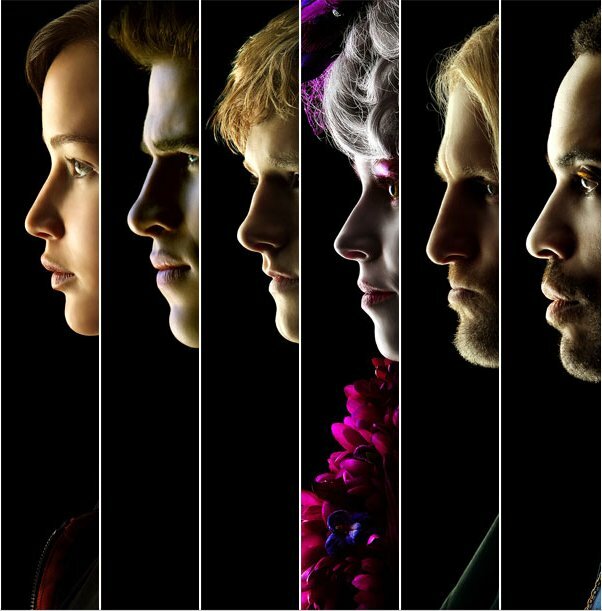 For example, I think The Hunger Games is a good example of a rebellion. The Matched Trilogy, on the other hand, would be a more negative example of a rebellion (I liked SOME aspects of it, but not all). I haven’t read the Matched trilogy but I’ve seen several reviewers who were disappointed with it. I agree The Hunger Games was a good example, but I still just get tired of it, lol. I love #5 and #9 in my dystopians, they always make the story fun! 🙂 Thanks for stopping by my TTT list! Yes, good characters are really a must for any book! I love your list! 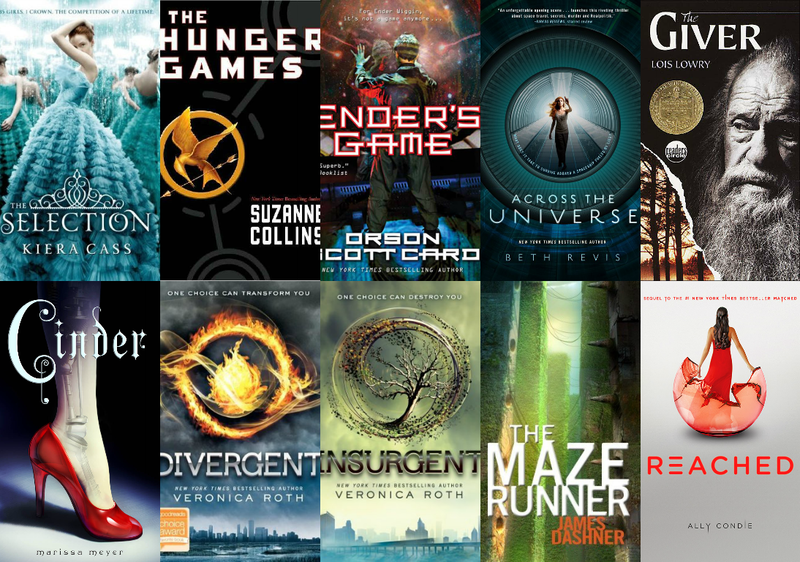 Dystopia is one of my favorite genres! Thanks! I love dystopia too! What a excellent and thoughtful post. I’m currently going through a bit of a dystopian burn-out, but I like the points you make about some of the unifying characteristics of “good” dystopians. Great post! Thanks! I can understand the burn-out… I’ve been reading some other genres lately, but I think I’m going back to dystopia soon. I think the market has gotten a little over-saturated and so they’re just publishing dystopia whether or not it’s that great. That’s why I wanted to create this list, to focus on my favorite elements of it! 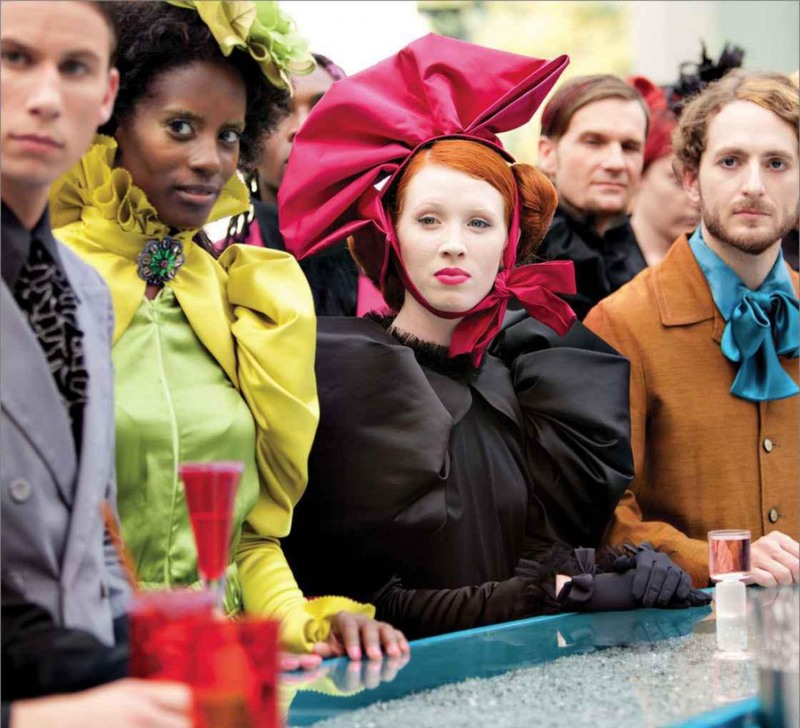 The Hunger Games really set the standard for the genre, didn’t it? The Giver is one of the best dystopias ever. Maybe the best, even. Because when Hunger Games and the following books are dark and depressed me a little, this one was just inspiring. I spent days thinking of it after I finished reading it. As for Divergent, I just hate it after I realized a lot of plot holes about it. That, and Insurgent was just a total turn-off. The Giver is quite fantastic. And you’re right about The Hunger Games; sometimes I forget in hindsight just how crazy dark the books were. It’s a great story, but it would have been nice if Collins had built in a little more hope in the last few chapters of Mockingjay. I guess that was what the epilogue was for, but it felt forced and tacked-on to me. I just had such a sad feeling after Finnick died I skipped to the end. But all in all, it’s one of the most realistic portrayals of a rebellion. Great points Amy. I think for me every time, it’s the stand out characters that win me over. Everyone loves a brave, selfless hero or better still heroine. And the revolution setting gives them a chance to shine. I love thinking about how this world evolved too and how possible it is.